USB PORTS ON MODEL A+: BE CAREFUL WHAT YOU INSERT, AND DO NOT USE FORCE! CAN I USE ADOBE'S FLASH PLAYER ON A PI? WHY DO I SEEM TO HAVE JUST A FEW MB LEFT ON MY 16GB CARD AFTER INSTALLATION? EIGHTY POLE GPIO EXTENSION CABLES WILL FRY YOUR PI ! If, when starting up your Raspberry Pi, you see a large, flashing block of rainbow colour on the screen, or on later Versions of the software an Icon in the shape of a lightening Bolt, then the screen goes black, and then the process repeats (i.e. the Pi gets stuck in a boot-up loop), then it is likely that there is a problem with your power supply. This is the case no matter where you got the power supply from, and how much current it says it can deliver. Note that the graphics processing unit (GPU) test, which fills the screen with a rainbow pattern, does not indicate a power failure in itself. However, if the GPU test constantly repeats it may indicate a power issue: after the GPU test screen, the Pi starts using more current, and if this causes the supply voltage to drop below critical it might cause the Pi to crash. Frequently, the power supply cable is not substantial enough. Some cables are too cheaply made, especially when they are long and thin: some microUSB cables contain just "tinsel" (small strips of plastic with tiny films of aluminum on them). This makes them flexible, but it also makes them unsuitable for devices that can't accept the kind of voltage drops they are producing. If your microUSB cable is thin and flexible, replace it by one that is thick, stiff, and short. Another cause of PSU problems could be a half-blown polyfuse: this can occur if you plug in a badly-regulated PSU, which triggers the overvoltage protection of the Pi, thus partially blowing the fuse. Leave the Pi off for a day to let the polyfuse recover, and leave the microUSB plugged into it. Turn the Pi on by plugging the PSU into the wall, instead of plugging the microUSB in while the PSU is already powered up. 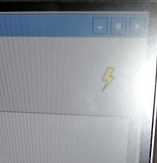 When using a B+ and the Raspbian graphical user interface (GUI), or Windows10IOT, if a "rainbow square" appears in the top right corner, this is also indicative of a power problem, as is the "PWR" LED suddenly blinking off. Bad power is the main cause of all kinds of problems, including WiFi adapters not working well, mysterious crashes, and SD Card corruptions. Make sure the PWR LED never goes out during use! For booting problems also read the boot problem sticky. Last edited by Jim JKla on Sun Aug 03, 2014 8:39 am, edited 4 times in total. If you want to use composite video on any version of the Pi in combination with NOOBS, you will note that you will not get any video out. That is because, by default, NOOBS will output over HDMI at your display’s preferred resolution, even if no HDMI display is connected. If you do not see any output on your HDMI display or are using the composite output, press 1, 2, 3, or 4 on your keyboard to select HDMI preferred mode, HDMI safe mode, composite PAL mode or composite NTSC mode respectively. To get analog video out of the RCA (Model A & B) or A/V output (Model A+ and B+), boot th Pi up with NOOBS, then repeatedly press either the "3" key to get PAL (European) video output, or the "4" key for NTSC (American) video output. You can use either the numeric keypad or normal keys for this. Note: if you get a picture but it is in black and white only, you have chosen the wrong PAL/NTSC video mode. Try the other video mode. When booting Raspbian (or any other OS), the Pi will handle switching to composite in a different way. It will check to see if you have an HDMI device connected; if there is no HDMI device connected, the Pi will switch to the composite video mode configured by the entry "sdtv_mode=". 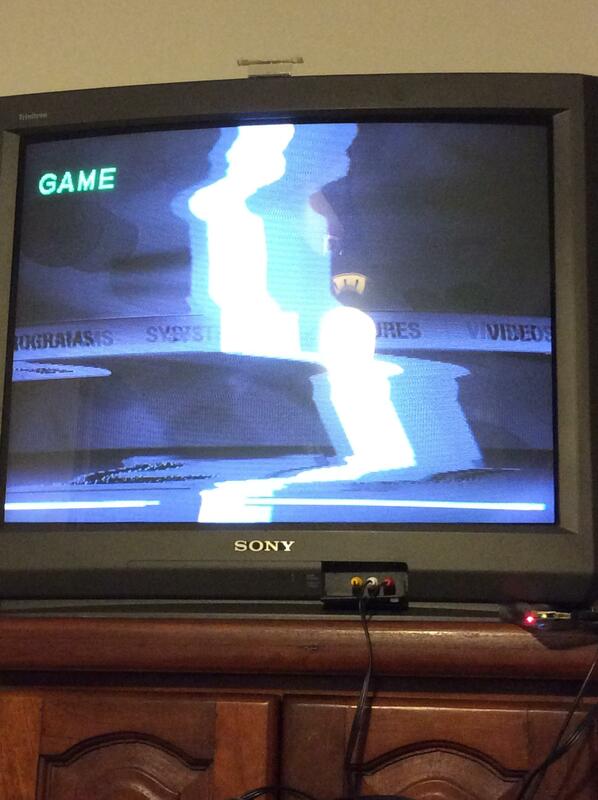 Here, sdtv_mode=0 will generate NTSC, sdtv_mode=2 will generate PAL. You can find more information here. If there is absolutely no way you can get a video output using NOOBS, (or if you have no video device connected, and you want to SSH into the Pi with an installed OS), there is a trick to silently install an OS. After the OS is installed the Pi will revert to the normal way it handles composite video, that is, it will switch to NTSC composite automatically when it doesn't sense a HDMI device. The silent install instructions can be found here. If you must have a PAL signal, (most modern TVs will auto-detect the video model, but PAL does provide a somewhat better resolution) then please note that, after the OS install, there will be a config.txt file in the FAT32 (root) partition which you can edit with a text editor from your main PC. You can read all about config.txt here. The output levels of the Pi's GPIO are either nearly 0V, or nearly 3.3V. For most modern logical devices, a logic high of 3.3V is enough, but there are exceptions. For example, some 16x2 character LCDs use either the KS0066 or the HD44780 LCD controller: when fed with 5V, these ICs need at least 3.8V, and so only giving them 3.3V may not register reliably as a logic high, resulting in garbled characters, or even the inability to control the LCD at all (resulting in displaying only white blocks). Luckily it seems that LCD's with these chips are now being deprecated, and replaced with chips that will accept 3V3 as a valid logic high. Still, if all else has failed you could try this next trick to lower the logic level voltage the LCD needs below 3.3 Volt. It is possible to level shift the 3.3V GPIO signals to approximately 5V, but you need at least six shifter levels. An easier solution is to lower the voltage the LCD runs off: instead of 5V, feed it 4V. The LCD controller will work happily with 4V, and the needed input level will go down. One simple way to drop the voltage is by simply adding a diode between the 5V supply, and the LCD's IC power-supply pin (Vcc). Almost any diode will do, but I recommend a 1N4148. The logic level problem may also affect other digital inputs, like shift registers: we recommend always checking the datasheet of the device to see if its Voltage Input High (VIH) is lower than 3.3V. One pitfall people who want to program their own SD card often encounter is that, for programming to be successful, the card must be really and completely empty, and reset to a initial state. SD cards do not behave the same as the floppy disks of the past did. A floppy disk could be wiped using a quick format process, which only wiped the disk's directory. SD cards are rather different: their internal electronic controller must be reset to its factory condition, and the flash must be wiped to the factory state. This also means than all the partitions on the floppy must be removed, and the card must be reset to an initial state. If that is not done, the card may behave as if it is empty, and installing an image (including NOOBS) on it may appear to work, but booting, or expanding the filing system may fail. Cards that are 64GB or larger are normally formatted using the exFAT format, instead of the normal FAT32 format, and the Pi cannot boot from an exFAT formatted card. The solution is to convert the exFAT formatted card into FAT32, using a free utility like FAT32FORMAT. On the B+, (and later PI's like the 2B) there was a slight design change that required a firmware update. Without this firmware, the LAN9514 USB/Ethernet chip will receive no clock signal. If you have a B+ and the keyboard/mouse does not work, and plugging in an Ethernet connection does not light up the "Ethernet Connected" LED, then you are using an OS or NOOBS that has older firmware. You should replace it with firmware downloaded from the download page of the main site. Note that on an A+ and Zero there is no problem as the A+ doesn't have a LAN9514 chip, so generating the clock isn't needed for USB to work. on older models ( A and B ) a non working LAN9512 chip might indicate a defective 25MHz Crystal, sometimes tapping, or re-soldering it might help. Q. How can I use both Ethernet and WiFi at the same time? A. There is a program running that disables WiFi when you make a wired internet connection. Please see this post on the topic. Not all 8GB SD cards hold the same capacity, so backing up a card can sometimes be problematic Additionally a card with, for example, Raspbian on it contains multiple partitions, many of them with Linux-specific file systems, which is why Windows cannot read them. The solution is to decrease the size of the image on the card somewhat with software that recognizes these partitions, before creating a backup. This can be done with a partitioning program like GParted. This can be a little complicated, so we would advise you to consult this thread on the topic. If you have a VGA monitor, you cannot simply use a HDMI-VGA passive cable, since the Pi's HDMI port cannot generate analog signals. An HDMI-VGA passive cable is just some connectors and copper wires; it cannot convert the Pi's digital HDMI signals to analog VGA signals. 1. Get an active converter box which converts from HDMI to VGA. If you have an older model A or B, you should use a converter with its own power input. 2. Use Gert's cheap VGA adapter for the model B+ that works by directing video data to the GPIO pins, then using simple D/A converters consisting of carefully chosen resistors. 3. Check on the back of your VGA monitor to see if, next to the blue VGA connector, there is a white DVI-D connector. If it is really a DVI-D connector (not a DVI-A connector), then you can use a simple HDMI to DVI-D cable, as both standards are based on the same digital technology. So always check whether your breadboard power lines are interrupted or not, before spending hours of searching why your board didn't work as expected. TOO MUCH VOLTS, A WARNING! The newer switching AC "wall wart" adapters/chargers have many advantages, but one disadvantage they might have over classical 50/60Hz transformer plus diode bridge and regulator wall warts is that their open voltage might not be as well regulated as that of the classic wall warts. At least, this is true for the 9V wall warts that are often used with Arduinos: these can output double the voltage (18V) when not loaded at all. On the 5V output regulators the situation might be much different, but I'm still suspicious. The problem is that if the adapter outputs more than 6V and you plug it in, the overvoltage diode of the Pi might be triggered, and the polyfuse might blow. It could explain some power problems. My advice would be to first plug in the micro-USB connector, and only then plug in the wall wart, or use the power switch on the power bar to switch power on and off. A+ USB PORTS, BE CAREFULL! 11. USB PORTS ON MODEL A+:, BE CAREFUL WHAT YOU INSERT, AND DO NOT USE FORCE! Be careful when inserting your USB WiFi dongle into the single USB port of a model A+. Some dongles, mainly but not exclusively those made by Edimax, seem to have an abnormally thick plug inside their USB connectors, and there is a risk that the copper contacts of the single USB port of the A+ catch might behind it and be bent when the dongle is forcibly inserted. This is indicative of a cable that switches the ground and video signals around, thus making the cable unsuitable for the task. It is very important to use the right cable to ensure good video output: the cable might look fine on the outside, but may be completely wrong inside! Read the Pictorial Buying Guide sticky to see what cables are suitable. This is a picture that shows the basic information. A cable with the first configuration is one that switches ground and Video around, and gives the above problem. You can use any of the latter three configurations (camcorder, IPod, or Zune) as long as ground is on pin 2 (try switching the red and yellow connectors if audio and video signals are switched). if you are using the two-pin TV output of a Zero, simply reverse the two wires connecting to them. If your picture is not dia-negative ,but is black and white only, you need to switch to a different TV standard using config.txt (PAL vs NTSC). post 21 lists some more information on the AV port. Unlike American software, Raspbian (and NOOBS) defaults to UK keyboard settings. 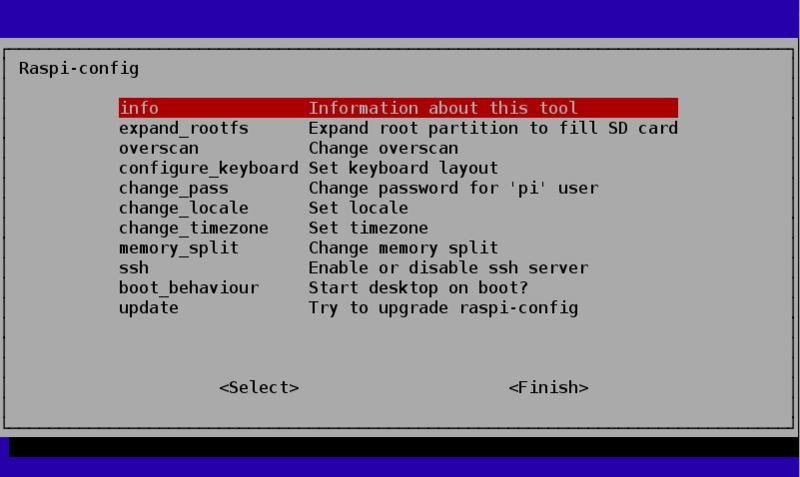 You were given the opportunity to change location settings the first time you started Raspbian, with the raspi-config menu. - Choose keyboard setup menu. - If your exact keyboard is not on the list then choose one of the generic 101, 102 or 104 keyboards. If you have an US Keyboard, then you must choose US. Don't leave it set to UK. - Then from Keyboard Layout menu, scroll to top of list and select English (US). Do not choose anything else unless you know exactly what you are doing! - Complete the other menus then reboot. You may also want to do timezone and locale setup as well. Also the first entry is vital, if you want to use all of your SD card's capacity! REAL FLASH PLAYER ON A PI. 14. CAN I USE ADOBE'S FLASH PLAYER ON A PI? Adobe's Flash player is not available for the Pi, and probably never will be. Adobe is a closed-source company, and has decided not to support any devices with the kind of ARM CPU the Pi uses. There were attempts made in the past to write an open-source replacement called Gnash, but Flash is a moving target (Adobe keeps breaking older versions of its player to force people to upgrade) and so Gnash is hopelessly outdated, and even slower than Flash (if it works) to boot. If your wish is just to play videos (e.g from YouTube) from a browser, that is now possible, and it is possible for most video sites supporting HTML5. YouTube has decided that from now on HTML5, not Flash will be its default standard. You may have heard people saying that "installing Flash on the Pi is now possible". This refers to a version of Flash that is not the official one from Adobe, but rather the rewritten Google Pepper Flash player version created for Google's Chrome browser running on ARM-based systems. It's better than Gnash, but Adobe keeps breaking it with each release of a newer version of Flash. You could say it's an arms race, except that Google has now given up renewing Pepper Flash. But for some people this Pepper Flash version might just be enough, as long as Adobe doesn't come out with yet more incompatible Flash code. Which the Website you want to see starts using. Please note that what is true for Flash is also true for Microsoft's Silverlight plugin, although this is not very often used. TOO FEW MEGABYTES, WHERE ARE THEY? 15. WHY DO I SEEM TO HAVE JUST A FEW MB LEFT ON MY 16GB CARD AFTER INSTALLATION? This is due to the fact that Windows chooses to ignore the partitions on the card occupied by Linux. However, you must expand the filespace Raspbian uses so that it occupies the whole available space on the card, not just the size of the image that it initially occupies (this is a minimal image size suitable for all card sizes). You use the second option "expand_rootfs" presented to you when the rasps-config configuration menu was automatically ran the very first time you booted. 16. WARNING! EIGHTY POLE GPIO EXTENSION CABLES WILL FRY YOUR PI ! If you open the picture in a new widow and enlarge it to see the density of the wires in the left cable, you will notice that it actually has 80 wires, not 40. Half of these are connected together, and to the GND pins of a PATA interface. If you used this cable with a Pi, it would short the GPIOs together. If in doubt, count out ten wires: if you have worked through about a quarter of the cable then it should be safe to use it. If you have barely started, do not use it, as it shorts many pins together, which will damage your Pi! Note, when using an image writer like Etcher you do not need to format your SD-card, so this pitfall doesn't not apply to you! Most formatting programs, including the official SD Card Association's formatter will use FAT32 for all cards up to 32GB, but above that tend to switch to the exFAT file format, which is not recognized by the boot code of the Pi. You must use an alternative formatting program after using the official one, to convert (re-format) the resulting exFAT file system to FAT32. You can use a free FAT32 re-format program for that: which you can download here. To recap, first use the SD Card Association's formatter to format the card completely as normal, using the full format with size adjustment turned on (this is called overwrite format, with logical address adjustment turned on if you are using the Mac version). This will not only format the card, but will also reset it to its initial condition, removing all extra partitions in the process. Then, after the formatting and resetting has finished, convert the resulting exFAT partition to FAT32 using the FAT32 Format program. Digital cameras normally use a different method of formatting a card, which can sometimes be more effective, so, if all else fails, try formatting your card in a camera. One of the principles of Linux is that OS software should be as simple as possible. When dealing with passwords, graphical interfaces accept what you type in, place a dot or star to mark each character, and feed the information to the command line when you press enter. Raspbian simply lets you use the command line command directly. Raspbian's command line login procedure is very minimalistic, as no marks are shown when you key in login and password information. If you are not accustomed to this, it can be surprising, but your keyboard is not defective and you can be confident that nothing is wrong. Obviously the programmer can add embellishments of various forms, from echoing asterisks to a full GUI-based login, but the basic login function only does the minimum. If you have trouble entering the password, you could try entering it in the name input line, then copying it and pasting it into the password input line. This might be especially helpful if there might be a keyboard configuration issue. The new Pi 2 with a quad core processor requires boot files and a kernel supporting it. Without these, the Pi 2 will not be able to start the ARM processor code, and it will stop at the rainbow screen (this is a test the GPU performs before it starts the ARM CPU). If you bought a so-called "bootable card" from eBay, or if you are using a badly-supported OS, the Pi is unlikely to boot beyond the GPU produced GPU-test-screen, (AKA "rainbow screen") as it is unable to start the ARM CPU, or the ARM CPU sees invalid code and crashes. Download the very latest version of NOOBS from the Raspberry Pi website and try again. This version should run well on both first and second generation Pis. Note that applications do run unchanged on the new processor, but may not use all the improvements it has to offer. If you have a first generation Pi, just doing an update will be enough so that the card will run on a Pi 2 too. If you can't wait for the software to be re-written for the Pi 2, and you cannot do an update, manually replacing the boot files and kernel might do the trick. If you also have a Pi 1 on which the card does boot, the following procedure which should result in Raspbian booting on both the old Pi, and the new Pi 2. Please note that there are many cables which look exactly like this one but which do NOT work. This is because the internal wiring varies from one cable to another, and you must ensure you are using a cable which is correctly wired for use with the Pi. The Raspberry Pi can use cables designed for the iPod, or for the Microsoft Zune, but can also work with some camcorder cables. The Pi does not work with cables for any of the systems that have pin 1 as GND. Note that you can make this cable 100% compatible by switching the two audio channels, that is the white and red RCA plugs. Its possible that in future software releases, when the system detects you are using a B+ with composite video, the software will swap the audio channels automatically. If you run some program that has no user input (for example, a slide show) you may notice that after some time the screen turns black. Don't panic: there is nothing wrong with your Pi! This just means that the screensaver has kicked in. In this case you will probably want to disable the screen saver. However, there are several screensavers in Linux which work in parallel, using different levels of the software, so turning them all off isn't as simple as you might think. This thread is dedicated to the screensaver, and discusses ways to disable it. Download is corrupted, file unzips to Petabyte Size. This is a common problem, and it doesn't mean your download is corrupted, it means your unarchiver is incompatible with the .ZIP you downloaded. Try another unarchiver, 7zip is a popular unarchiver these days that supports zip64.